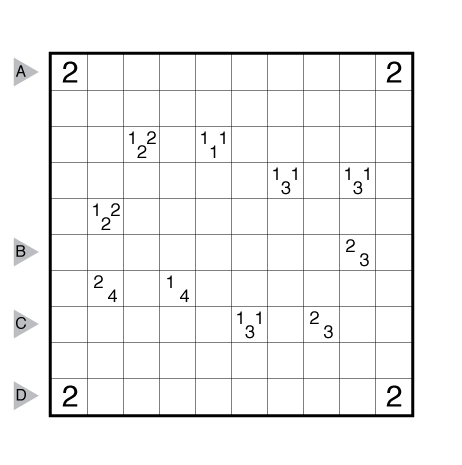 Author/Opus: This is the 175th puzzle from our contributing puzzlemaster Prasanna Seshadri. Note: Follow this link for other Tapa variations and this link for classic Tapa. 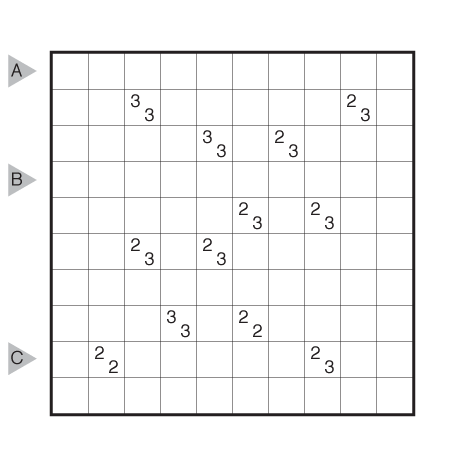 If you are new to this puzzle type, here are our easiest Tapa puzzles to get started on. 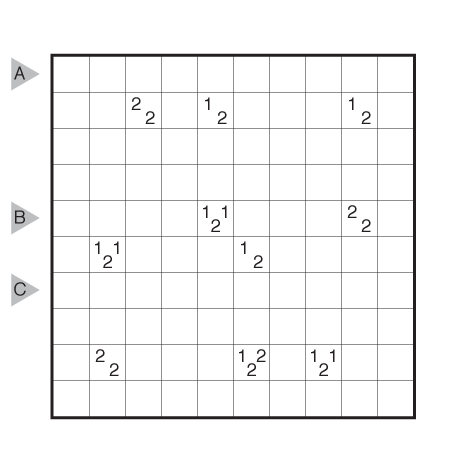 More Tapa puzzles can be found in The Art of Puzzles, in Tapa and Variations, and in our beginner-friendly collection Intro to GMPuzzles, all by Serkan Yürekli. Author/Opus: This is the 283rd puzzle from our contributing puzzlemaster Grant Fikes. Author/Opus: This is the 218th puzzle from our contributing puzzlemaster Serkan Yürekli. 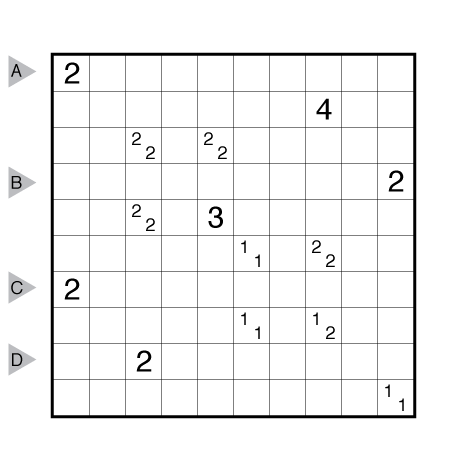 Author/Opus: This is the 10th puzzle from guest contributor Joseph Howard. Note: Follow this link for other Tapa variations and this link for classic Tapa. 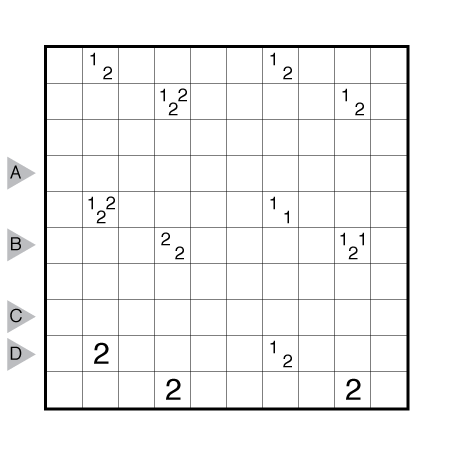 If you are new to this puzzle type, here are our easiest Tapa puzzles to get started on. More Tapa puzzles can be found in The Art of Puzzles and in Tapa and Variations, both by Serkan Yürekli. 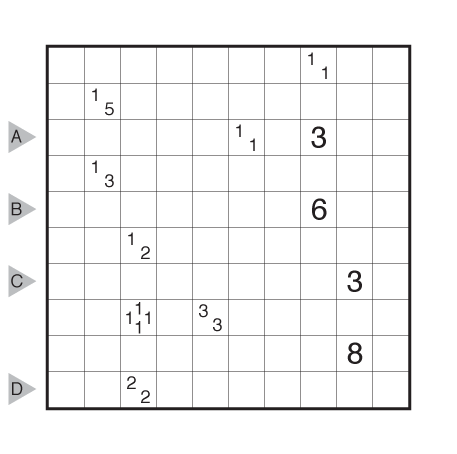 Author/Opus: This is the 165th puzzle from our contributing puzzlemaster Prasanna Seshadri. 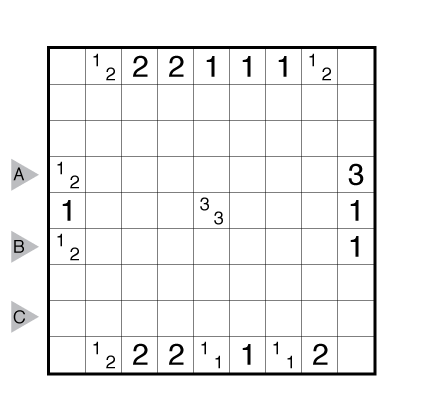 Author/Opus: This is the 178th puzzle from our contributing puzzlemaster Serkan Yürekli. Author/Opus: This is the 36th puzzle from our contributing puzzlemaster John Bulten.